Phil Minshull recently interviewed Ato Bolden at the IAAF Centenary weekend in Barcelona, Spain. I liked his responses so much, I decided to post them here. I liked Ato’s suggestion on an event with mixed genders. How about a Swedish Relay (100-200-300-400) where you have a women run the 100 and 300 and men run the 200 and 400? We would still see a USA vs. Jamaica battle for the gold! Also, note his comments about the increasing performance gains on track surfaces. Who is you favorite athlete of the last 100 years? 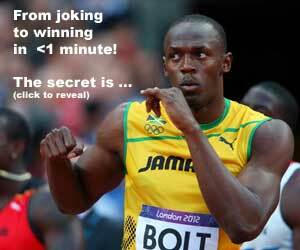 It has to be Usain Bolt. What he’s done on the track has just been amazing and I think he’s endeared himself to the world like now one else has done, even when you take into account the likes of Carl Lewis and what people like him did. His detractors can say that he’s only been around for four years but look at what he’s done in that time. There’s a 95-year-old woman in Jamaica who seems that have done everything else and she was asked on her birthday what she wanted, what was there left to do and she said ‘I want to meet Usain Bolt.’ That’s the sort of impact he’s had. What has been your favorite athletics moment of the past 100 years? Bolt’s 100m win in Beijing. They will be looking at that race in 200 years’ time because of the way he won that gold medal and what he did to the other medal contenders in that one race. If you could change one thing in the world of athletics what would it be and why? That’s easy, the false start rule. I would go back to the way it was before. One false start to the field and then eliminating people. I wouldn’t go back to letting people have one individual false start thought. Name one reason why people should choose athletics as a sport? Health. I was born in 1973 and I still run every day. Guy’s my age from other sports, (American) football in the USA, rugby in Europe; they are suffering concussion problems, bad knees. By contrast, I live a normal healthy life. If I had a son I’d think carefully about letting him participate in contact sports. Where do you see the sport of athletics in 100 years time? Well, I guess the surfaces would be very different, they might be like trampolines by then. I also think that there will be mixed gender events, men and women competing together, perhaps in mixed 4x100m or 4x400m relay teams. What was your favorite competition venue? Lausanne. It was a great track, very fast, just ever so-slightly at altitude, that and a difference and, of course, it’s an Olympic venue with a great history. If one film star could play your career who would it be and why? There could only be one man, Alfonso Ribiero. For those of you that don’t remember him, he played Carlton in The Fresh Prince of Bel-Air in the 1990s. His family come from Trinidad originally. What do you think you will be doing at the 2013 IAAF World Championships in Moscow? Broadcasting. I know that for sure. I play the lotteries and I hear people say that if they won $350 million they would carry on with their jobs and things like that. I’ve often wondered how true that is but in my case it would be. I love the sport and I remain a huge track fan. READ SHIN SPLINTS REDUX - Stand Up Straight! If you could pick three athletes from the past 100 years to attend your dinner party, who would they be and why? Bolt, Jesse Owens and Wilma Rudolph. Bolt, I’ve talked about, Owens was such an important man in this sport’s history, doing the things that he did back in 1936 but I often think that Wilma Rudolph gets overlooked and I’d love to hear her story, how she dealt with polio and all the other issues she had to deal with before becoming an Olympic champion. What was your reaction to Keshorn Walcott winning the gold medal in the javelin at London 2012 this summer? What he did was amazing; the Caribbean doesn’t have much history in the javelin. If I had been in a coma for 100 years and woken up to be told that Trinidad had won another Olympic gold and asked to guess the event, I’d have said sprinting, distance running, race walking, everything before the javelin!